This is a recipe that my (Lissa) mom made often growing up. It was one of my favorites and I fell back on its simplicity when I was living in Rennes, France. 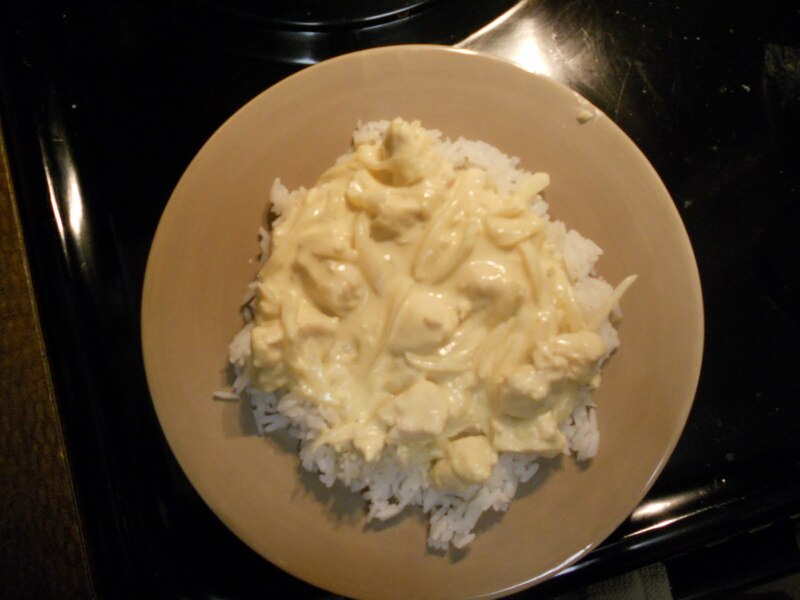 There isn’t really a recipe that I follow, but if you are in the mood for creamy mustardy yumminess over rice this is perfect! 1. Saute pieces of chicken breast in olive oil until slightly cooked. 2. Add sliced onions and cook until just tender. 3. Add dijon mustard and cream to taste*. In France I used creme fraiche, but since that is hard to get here (and expensive!) we use a combination of sour cream and heavy whipping cream. Cook until heated through and serve over rice with a French baguette and some French cheese (brie or camembert are perfect). Enjoy! *My mom also adds white pepper. this is my new favorite recipe and have made it 3 times in the past 2 weeks.